Full Disclosure – My apologies for the late post, folks. My fiancé and I just had a baby, which has left me learning how to balance work and fatherhood mid-semester. Good times. 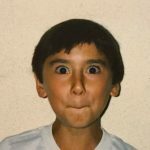 Thanks for Waiting – Reading “OWI Principle 1” about inclusivity and accessibility brought back memories of classroom moments where students would give me that look that essentially said, “Seriously, Tsuyuki, I wish you would have given this to us earlier. Now we have to go back and change things.” As I made my way through the guidelines and eventually the effective practices for “OWI Principle 1,” it didn’t take long for me to feel like the topic, “Accessibility and Universal Design,” could have come earlier. There was definitely that initial thought: Dang, Curry and Jim, why didn’t you give this to us earlier? Why wasn’t this our first topic? Now I have to go back and change everything. But then I snapped out of it, remembered how I tend to teach bottom-up vs. top-down, and wondered where I would have been had I started with such an explicit framework. In other words, thanks for saving this topic for later. Doing so allowed me to design authentically and unfiltered, which I see as good and bad, but mostly good. But now, after taking in this week’s readings, I have a chance to revisit, rethink, and refine. While some of this is already happening, much will happen later. Today – In terms of recent upgrades, I recently addressed “Effective Practice 1.4” by adding Zoom to my online course. What a great resource! I mean, I had some sense of it though the online Canvas workshops that were offered during Flex, but hosting an unscheduled Zoom session after receiving an email from a student who wasn’t making progress with an essay was an amazing experience. It was spontaneous—similar to an onsite student who drops in when you’re not holding hours—yet surprisingly productive—similar to that onsite student who drops in and isn’t expect much but leaves with printouts and promising direction. While there’s still a sense of regret for not using Zoom sooner, I’m far more excited about my next session. Tomorrow – In terms of what’s ahead, I greatly appreciated the tips in Emily Moore’s Faculty Focus article, “Improve Accessibility in Tomorrow’s Online Courses by Leveraging Yesterday’s Techniques.” The recommendations made perfect sense, and I was glad to see her include examples throughout to illustrate her ideas. (In thinking about Warnock and some of my comments about his chapter on collaboration, I think his text would benefit at times from these types of concrete examples.) During the upcoming winter break, I look forward to revisiting my course and applying Moore’s ideas to my content—everything from succinct writing and annotated links, to pronoun usage and captioned videos. I’m also going to revisit Bill Pelz’s JALN article, “(My) Three Principles of Effective Online Pedagogy” (2004), which focuses on letting students do most of the work, interactivity, and types of presence. While I’m still making my way through it, the article seems like a nice supplement to Moore’s. Candy Contributions – That being said, while I found Moore to be helpful overall, for new and experienced online instructors, I had a hard time getting on board with her thoughts on cutting extraneous material. According to Moore, “Sighted students can learn to ignore extraneous ‘eye candy’ and text. That’s not the case for students relying on screen readers, which give the same presentational weight to long-winded, repetitious material and critical course concepts. Make sure every paragraph, image, activity, and video clip you add to an online course contributes directly to your course’s stated learning objectives.” Really? Every element? Everything has to tie back to an objective? Personally, that sounds awful. I mean, I’d probably have to scrap my class photo! I understand the concern in terms of those students relying on screen readers, but I can’t imagine a course that’s “all business, all the time.” Community is often rooted in that which doesn’t tie back to objectives. I won’t get into specific examples that are meaningful to the course experience yet don’t tie back to objectives, but if the concern is screen readers being unable to ignore optional/extraneous content like a sighted student, couldn’t we simply add a brief disclaimer to non-objective-based moments in the course? What am I not seeing? Help me, Jim J! Rethink Culture – Ultimately, what I like about this week’s topic is how it feels familiar. It reminds me of some of the subcommittee work we’ve done in PG&E. It calls to mind how MCC has evolved since I was hired back in 2010. By evolve, I’m referring to what we now offer, who we now represent, those we now celebrate through PDP, for instance, and opportunities like the Cultural Competency Conference. Consider this month and how we’re experiencing this evolution via a robust number of events dedicated to celebrating distinct heritages and histories: Pilipinx, LGBTQIA+, Latinx and Chicanx. In my mind, when I think of how we’ve evolved and where we are today, I can’t help but place ideas like “inclusivity” and “accessibility” in the same space as, or maybe under the umbrella of, cultural competency. Am I alone in thinking WwM is enabling us to become increasingly competent in the dynamic culture that is OWI? Still, I do wonder how two-year college scholarship has addressed this world in which we find ourselves so immersed these days. If the answer is that it really hasn’t, perhaps our posts are at the beginnig stages of something bigger. This entry was posted in Articles / Books, Pedagogy by C. Tsuyuki. Bookmark the permalink.